Life In A House of Blue ! 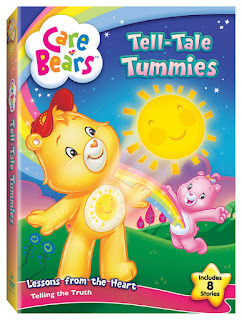 : Care Bears Tell-Tale Tummies In Stores Today ! I grew up watching and collecting Care Bears, so I was thrilled when I had the chance to review the new Care Bears: Tell-Tale Tummies DVD. My sons enjoyed watching it but it was also a treat for this mommy to watch it, it is nice to remember great childhood things and share them with your kids. Lionsgate is releasing the brand new dvd "Tell-Tale Tummies" TODAY JUNE 9th !!! The new Care Bears teaches lessons with each different episode. They teach children about friendship, teamwork, honesty and all the things that I want my boys to know about. 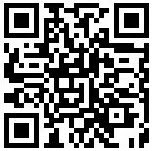 SYNOPSIS: "Come along with the Care Bears™ for more friendship-filled adventures among the clouds and rainbows of Care-a-lot! Whether it's teaching Grumpy how to ride a bicycle or becoming detectives to help Grizzle find his missing best friend, the Care Bears discover the true meaning of teamwork. Along the way, they also learn how important it is to always tell friends the truth. So hop on your bicycle and join the care bears at Rainshine Meadow for eight enchanting tales of caring, sharing, and fun ! " The DVD contains eight new and never released episodes from the new CBS Saturday morning TV show. This DVD has a Kid Friendly Direct-Play feature that allows the DVD to play automatically without any selecting from a menu. The episodes on this DVD are ten to twelve minutes long, a perfect size for the attention span of a small child. As with the Care Bears shows that I remember from the mid 80s, each of the episodes has a message about values and morals. The theme of each of these episodes is doing what’s right, including being honest and telling the truth. The Care Bears: Tell-Tale Tummies DVD has a run time of 88 minutes. The DVD will arrive in stores this TODAY, on June 9, and retail for approximately $14.99. This is a great movie for any child and would make a great gift ! We received this too. It's a cute show! What fun! I love that my kids can watch the same thing I did growing up.